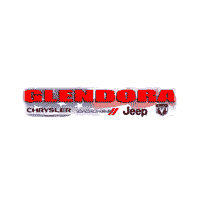 Serving Glendora along with Los Angeles, Orange, and San Bernardino Counties, Glendora Chrysler Dodge Jeep Ram brings together a great selection with top customer service to help you find the perfect vehicle. Whether you’re searching for a new car, truck, or SUV, or a quality pre-owned vehicle, you’ll find what you need at Glendora Chrysler Dodge Jeep Ram. Since founder Dennis J. Silletto first opened the doors of Glendora Chrysler Dodge Jeep Ram on December 23, 1982, we’ve worked hard to make our customers happy. Our goal is to offer exceptional customer service, and our scores of 100 percent in sales advocacy and 100 percent in overall sales consultant satisfaction show that our focus pays off. Our sales team is knowledgeable and more than happy to help our customers find the vehicles of their dreams. Whether you’re looking for a Jeep Wrangler, Dodge Charger, Ram 1500, Chrysler Pacifica, or another popular Chrysler, Dodge, Jeep, or Ram, you’re sure to find it at our dealership. We offer an excellent selection of vehicles with all the latest comforts and updates. We even have a great selection of like-new pre-owned vehicles and certified pre-owned models that we’ve handpicked for their reliability. Of course, finding the right vehicle is only part of the car-buying process. The other part is finding the numbers that work for you. Our dedicated lease and loan specialists work hard to come up with the right numbers to get you behind the wheel of your new vehicle. Even though they’re very good at negotiating with banks and crunching numbers, they also understand this is a major financial decision for you. That’s why they’re also happy to sit down and go over your financial goals. Whether it’s been a few months or a few years since you purchased your vehicle from us, know you can always come back to our service department for any of your maintenance and repair needs. All of our service technicians are FCA (FIAT Chrysler Automobiles) trained and certified, so you know you’re getting quality and dependable work. Even if you’re good with your hands and like to do some vehicle maintenance on your own, you can stop by to purchase the manufacturer-certified parts you might need. At Glendora Chrysler Dodge Jeep Ram, it’s not just about selling vehicles. It’s also about giving back to our community and helping it grow. That’s why we’re proud to sponsor many Drive for the Kids events with Chrysler. With this unique fundraising opportunity, we pair up with local schools and donate $10 for every minivan test drive. We’re also happy to work with local sports teams, Glendora Kiwanis Club, Pomona Eagle Scouts, Meals on Wheels, Mopar Racing Team, Project Boon, and more. Whether you’re in Glendora, Los Angeles, Ontario, Monrovia, West Covina, or any of the other surrounding cities, make sure you stop by Glendora Chrysler Dodge Jeep Ram when you’re looking for top service to help you find your next vehicle.